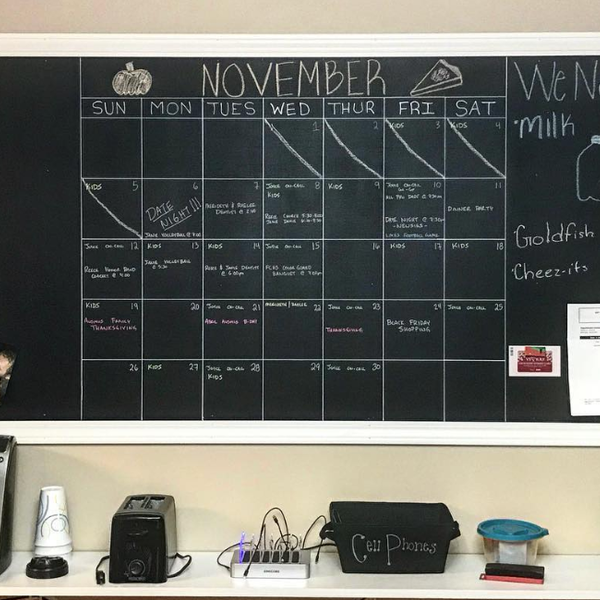 With an ever busy family and 5 kids to chase around, we needed a central place to keep track of it all. We made a 3' x 6' calendar to put up in the kitchen. There were some trial and errors, but I love the final outcome! Nice little command center! What was the most difficult part of creating this? Getting the metal glued to the back so it was magnetic was a challenge, but it worked great. You just have to have strong magnets to hold through the 1/4" plywood. We can image that would be difficult. Great job!